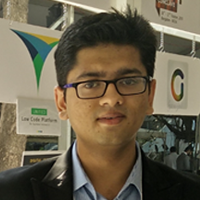 vPhrase helps companies communicate insights in their data, in words, using AI. 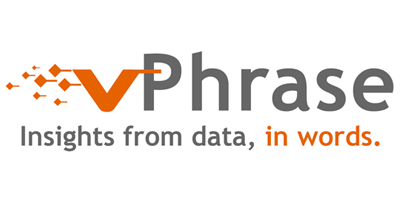 The company’s patent pending platform, Phrazor, analyses data, derives insights and then communicates those insights, in words, in multiple languages. It automates the work of analysis and communication which is the forte of expensive domain experts and it does this at a fraction of their cost. The insights and nuances that one can explain via words cannot be explained using charts and tables alone. vPhrase helps its clients make their internal reports easier to understand for their employees. It does that by writing personalized narratives for each employee highlighting all the important points which need attention. With vPhrase’s narrative based reports, employees spend less time on understanding what has happened and more time on taking actions.